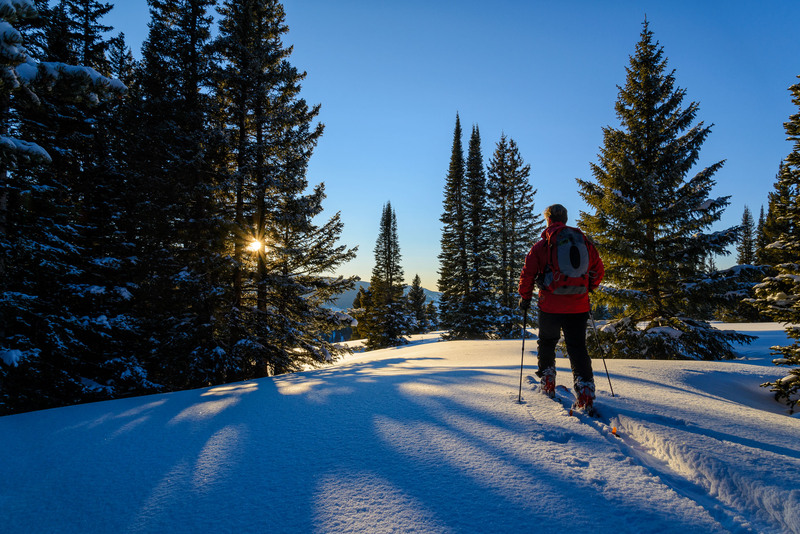 Man skiining up along a ridge in the backcountry at sunset with beautiful light and fresh winter snow. Captured as a 14-bit Raw file. Edited in 16-bit ProPhoto RGB color space.